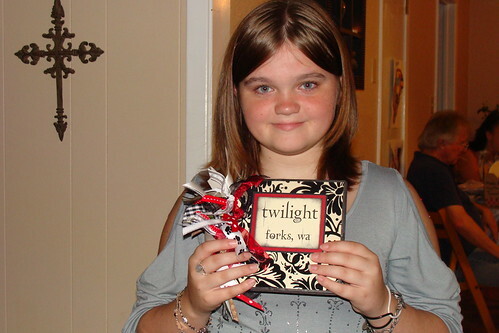 For my birthday present I received a Twilight scrapbook and inside was plane tickets to go to Forks, Washington. I get to stay in the Cullen house which is a big deal to me because I am team Edward and I love Vampires. I leave on the 12th of this month, August. The plane ride will take 4 hours to get there (yikes). I am counting down the days until I get to go. It is such a big deal for me since I’m a huge Twilight fan. I can not wait because we get to take a tour of the town and we get to go down to La Push as well. When I found out that I was going to Forks, WA I started crying because I was so happy. I wrote a post on how I wanted to go to Forks since it is on my life list. i’m a little bit jealous of u! U’re Twilight fans? as I am. i dream i could go to Forks and visit the Cullens house or Bella’s. How long did you stay at it? It was a nice trip, I think… How was inside that house? W-o-W! !